San Francisco and the Bay Area offer visitors a wide variety of places to stay - from downtown San Francisco hotels to small, individually-owned bed and breakfast inns, with everything in between. Learn about many of the best options throughout the Bay Area from the articles featured within LoveToKnow San Francisco. Regardless of the size of your budget or the type of accommodations you prefer, you'll be able to find a great place to stay in San Francisco. Luxurious accommodations: If you're looking to travel in high style, discover the best luxury hotels in San Francisco. Romantic getaway: For honeymooners and couples looking for a retreat filled with romance, there are a number of romantic inns in the area. Family-friendly facilities: Discover the best family hotels in San Francisco if you're looking for a place to stay during a family vacation. Budget-minded: If you'll be in San Francisco for a while and you want to save money, find hotels with kitchenette facilities and weekly rentals. 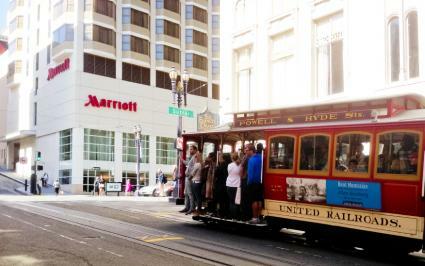 Recognized names: San Francisco is home to many recognized hotel brands, including Marriott and Hilton properties. Military connection: If you are a member of an eligible current or past military family, you may be eligible to stay at the Presidio of Monterey. Resort areas: If you plan to stay outside the city, consider staying in Monterey or looking for lodging in Carmel, including oceanfront hotels. With so many hotel options in the city of San Francisco and throughout the Bay area, you're sure to find the perfect spot for your next trip to the area. Any time you're planning a trip to this part of northern California, let LoveToKnow San Francisco be your number one online destination for information about where to stay - and what to do - during your trip.